How big or tall is a lacrosse goal? First off, let’s make sure you know what the correct size of lacrosse goal you need. Regulation lacrosse game goals sizing and dimensions are a 6 x 6 lacrosse goal. So whether you are looking to buy a lacrosse practice goal, or an official lacrosse goal, the size will be 6 feet tall and 6 feet wide. The only time you would ever use a different lacrosse goal size would be if you needed an indoor lacrosse goal, and the size would be 4 feet tall by 4 feet wide. Official lacrosse goals have squared off welded corners, whereas lacrosse practice goals have rounded corners. 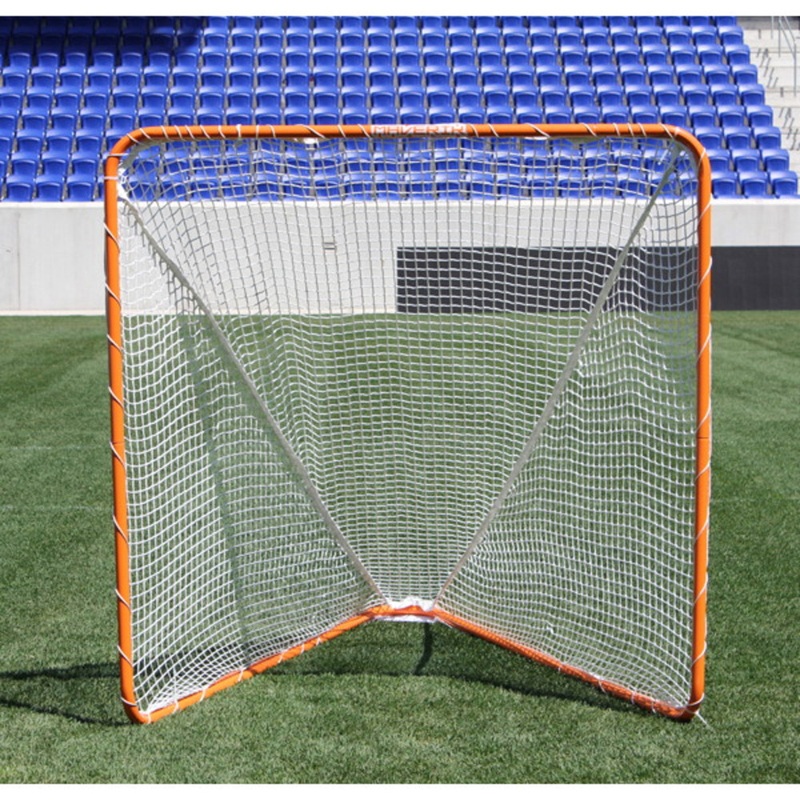 Official lacrosse goals use thicker steel pipes, usually 1.75 to 2 inches in diameter. Lacrosse practice goals typically have 1.5 inch steel piping. 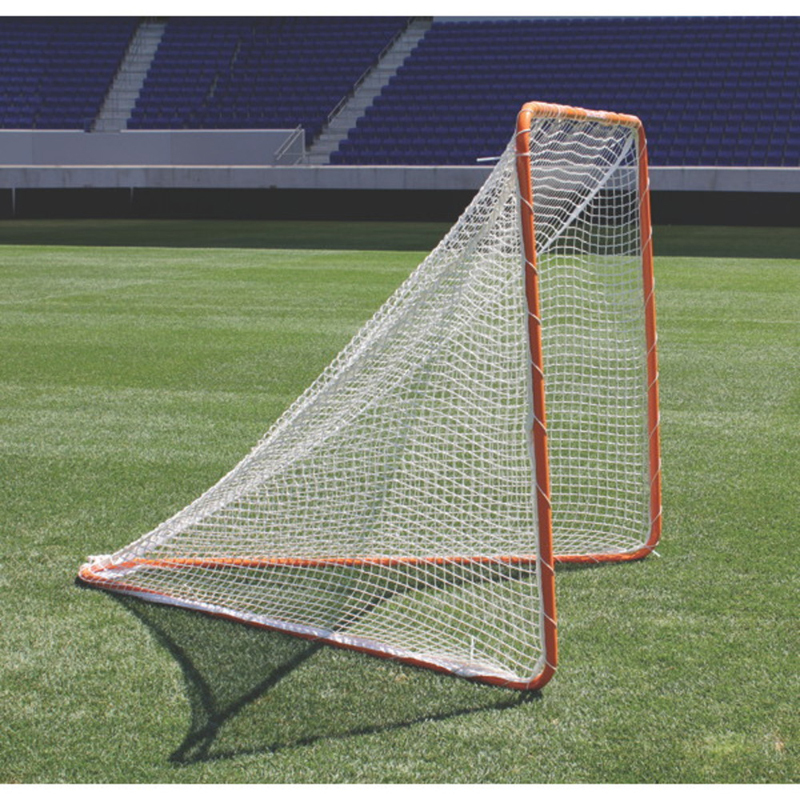 Official lacrosse goals can weigh hundreds of pounds, and are of higher quality metal. HTPP/PE(Polyethylene)/Nylon or other custom material.